Running Press Adult, 9780762463558, 80pp. Our most cherished cartoon bird shares his wisdom on life in this beautifully produced gift book for all generations. From his perch on top of Snoopy's doghouse, Woodstock spends his days trying (and failing) to fly, falling in love with worms, and striving to be an exemplary secretary to Snoopy. 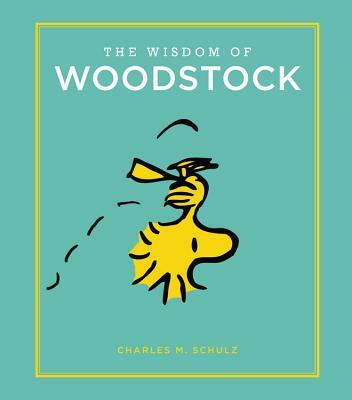 For the millions of faithful Charles Schulz fans, and those who fondly remember Snoopy's scrappy side-kick, this is the third in a new series to cherish that will see the beguiling Peanuts gang share their sentiments on everything from food to friendship. Charles M. Schulz's (1922-2000) Peanuts comic strip debuted in 1950 and went on to become the most widely read comic strip in the world, with an audience of 355 million people in 75 countries. It ran in 2,600 newspapers and was published in 21 languages.